EUGENE, Ore. — (May 21, 2015) — Many undocumented workers from Latin America risk migrating to the United States to take jobs in which they will be exploited because they are fleeing from desperate situations and see opportunities to help their families. That scenario, says Gerardo F. Sandoval of the University of Oregon, emerged from a long-running case study in which under-the-radar networks driven by economic and political pressures were documented. These shadow networks tie workers to low-paying, labor-intensive jobs in new communities and to the towns they left. "This exploitive system is embedded in neoliberal ideology and deeply rooted in historical colonial and racial relationships between the United States and Latin America," wrote Sandoval, a professor in Department of Department of Planning, Public Policy and Management, and his UO colleague Edward M. Olivos, a professor in the Department of Education Studies, in the conclusion of a new paper published in the journal Ethnicities. The research centers on the case of meatpacking plant in Postville, Iowa, which shut down after a 2008 raid by U.S. immigration officials. The plant, then the nation's largest kosher facility, had employed hundreds of undocumented workers. The facility has since reopened under new owners and a new name. Conditions in the town, Sandoval said, helped sustain a shadow system based on lending practices, remittances and the recruitment of unauthorized labor that are common to such operations. "Most of these workers at Postville came from Guatemala, and I'm Guatemalan," Sandoval said. "I found out most of them came from a town, El Rosario, located about an hour from where I grew up in Antigua, an old colonial town south of Guatemala City. When I saw this connection, I got really interested." Many of the migrants had been peasant agricultural workers who had endured harsh conditions and exploitation on large coffee and flower plantations. 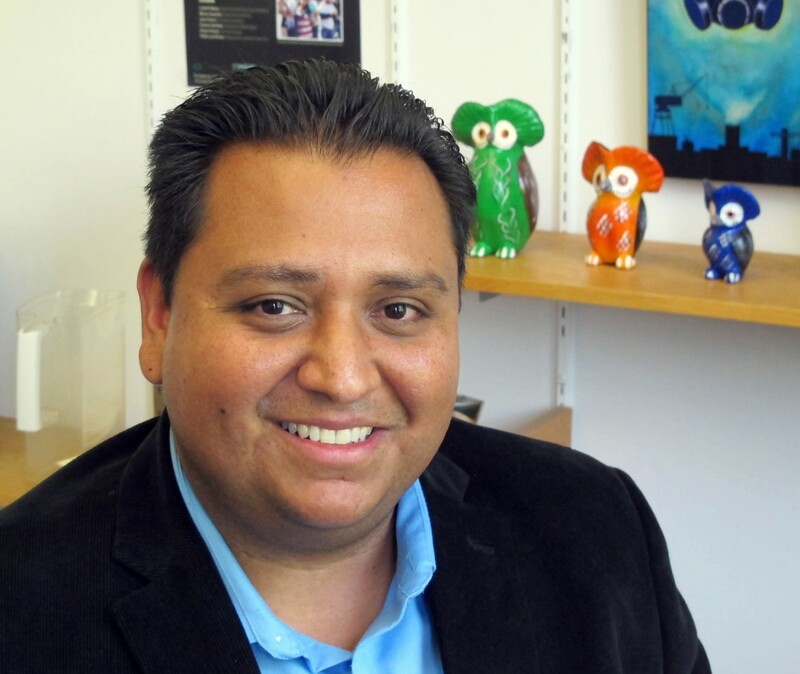 Sandoval, who also is associate director of the UO's Center for Latino/a and Latin American Studies, documented the shadow networks in a 2013 paper in the Journal of Planning Education and Research. He won the Chester Rapkin Award for best article from the Association of Collegiate Schools of Planning. He detailed the recruitment and settlement of the Guatemalans to create a source of low-wage labor for the company, and how Postville's tax base, school expansion and housing market benefited. The state also collected payroll taxes and Social Security benefits even though the workers were here legally. Despite their exploitation, Sandoval said, the workers were able to better support their families and educate their children. The workers sent money back to El Rosario to help other family members and friends, and to repay bank loans that covered their trips to the U.S. The repaid loans, he said, fueled economic growth in El Rosario. In the new study, Sandoval and Olivos explored the role of these shadow networks, which emerged amid the globalization of product manufacturing, on forging the identities of migrating workers. Meatpacking, they noted, is a leading example of how such work has become identifiable as "Latino jobs" filled by displaced agricultural workers. "Latinos in U.S. labor markets are used to perpetuate power dynamics, disrupt worker consciousness, and racialize Latinos around jobs," they wrote. What happened at Postville, they added, was an extension of colonialism by the United States in Latin America. "Postville teaches us two things," Sandoval said. "First, these shadow systems are very unstable, and, since they are based on exploitation, the key outcome is a lot of suffering for the immigrants who are forced to relegate themselves to these positions of marginality. "Secondly, the experience at Postville teaches us that these immigrants really do have a lot of agency where they rely on networks tied to kinship, friendship and community to try to improve their lives, find employment, housing and education for their children," he added. "In this way, Postville also is a story of the possibilities that exist in these communities that don't have a lot of options." While the nation grapples with immigration reform, he said, such conditions and networks still exist. "I think there are a lot of these kinds of relationships all over the U.S. in communities that have high numbers of undocumented immigrants," he said. "These shadow relationships probably change somewhat depending on context of the industries involved."